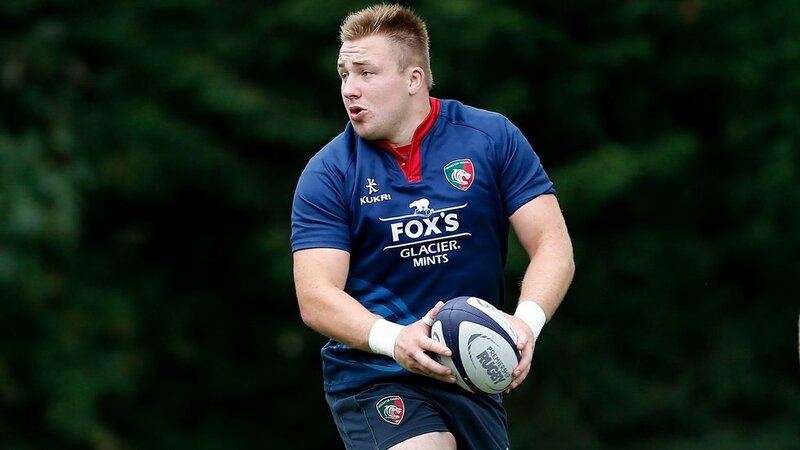 As tighthead prop, Joe Heyes came through the Notts Lincs and Derby development group to join the Tigers academy. Good enough as a teenage footballer to make it into the Nottingham Forest academy system, Joe played rugby at Nottingham Moderns and then Newark before gaining international selection with England Under-18 level during his progress through the Tigers academy. He played in all nine England Under-18s fixtures in 2017, claiming a try in the 45-24 win over Scotland in the International Series in April and touring South Africa in August, before joining the Under-20s squad in 2017/18. After playing in the Under-20s Six Nations as one of the youngest members of the squad, he went to the World Junior Championship in France during the summer of 2018 and played in every round including the Final.